The PTO's website is https://sites.google.com/view/beverly-middle-school-pto/home. Come visit! 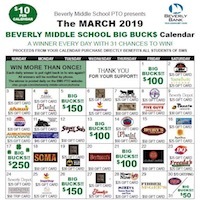 On behalf of the entire Beverly Middle School PTO, we would like to THANK YOU ALL for helping make this year our best BIG BUCK$ fundraiser ever! 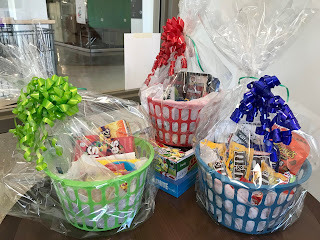 Thanks to all your help …the buying, selling, enthusiasm and support, the fundraiser netted $28,000+ to support so many school-wide activities! We are thrilled with this new record! Many hands made it happen…A BIG THANK YOU TO EVERYONE! Though the years, BIG BUCK$ has become a well-oiled machine with amazing support from our community businesses and participation by our school families! We have been and are very fortunate. 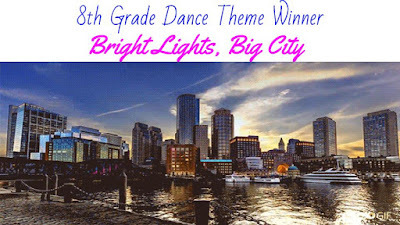 This is just a reminder that the final payment for the Grade 8 Boston Trip is due today, Friday, April 5. The trip will be on Wednesday, June 12, 2019. Thank you to those of you who have already submitted all payments. And a HUGE thanks to those of you who sent in donations to support students who need some financial assistance to attend the trip. Your generosity is much appreciated! 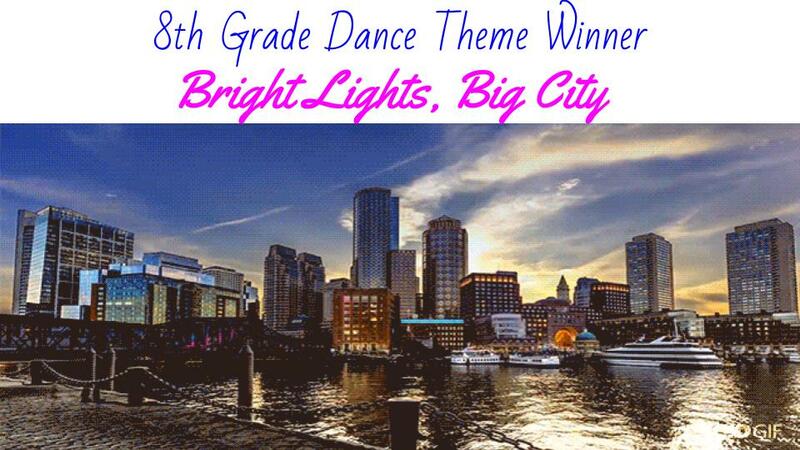 Click here to download the packet of information for this year's Grade 8 trip to Boston. If you have any questions, please email Ms. Jamie Norton, 8th Grade Assistant Principal at 978-921-6103 x24460 or jnorton@beverlyschools.org. April Vacation is coming up! There is no school for students from Monday, April 15 (Patriot's Day) through Friday, April 19 (Good Friday). This Thursday, April 4th, is our Staff vs. Student Basketball Game. 8th Grade Students have been practicing, but so has the staff, so it’s sure to be a close one this year! All BMS families are welcome to join us for this annual fundraiser. All proceeds go towards end-of-year activities for our 8th graders. Entry is $10 for adults, $5 for students (kids 5 and under are free). And if fierce (and occasionally humorous) competition is not enough, we also have concessions, raffle baskets, and a DJ! So please come to eat and chat and dance and cheer! The final Fab Lab session 3 meeting is on Tuesday, April 2. Session 4 names will be posted soon. The last two March Big Buck$ winners were drawn this weekend! Our Saturday 3/30 winner was Patricia Williams and the seller was Grace Williams. Our Sunday 3/31 winner was Wendy Takesian and the seller was Lucas Monfette. Thanks to all the families and friends who supported this important fundraiser for BMS!